Scrapping Out of Control: Monday Madness Imagine That! I hope you've enjoyed today's project. I know it was a little simple but sometimes simple is good! 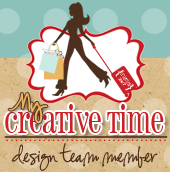 Please make sure you stop by the FAB design team's blog and check out their projects! Big crafty hugs! Such a sweet little card! I love this Imagine cartridge! I need to get my blade calibration back on track on my Imagine...every time I use it, it seems to go a little more out of alignment. Yours is nearly perfect! love this Nancy! just so pretty! Oh...I love the dragonfly and butterfly...what a soft feeling...so pretty! I love the papers you chose to print! Your card turned out so pretty. I love this. You're making me want to stalk ebay for the Nursery Tails cart! Nancy ~ I think it turned out so PRETTY! I do think simple sometimes is just right and your is just PERFECT! I LOVe the sentiments on the side! Great job and LOVE the song!